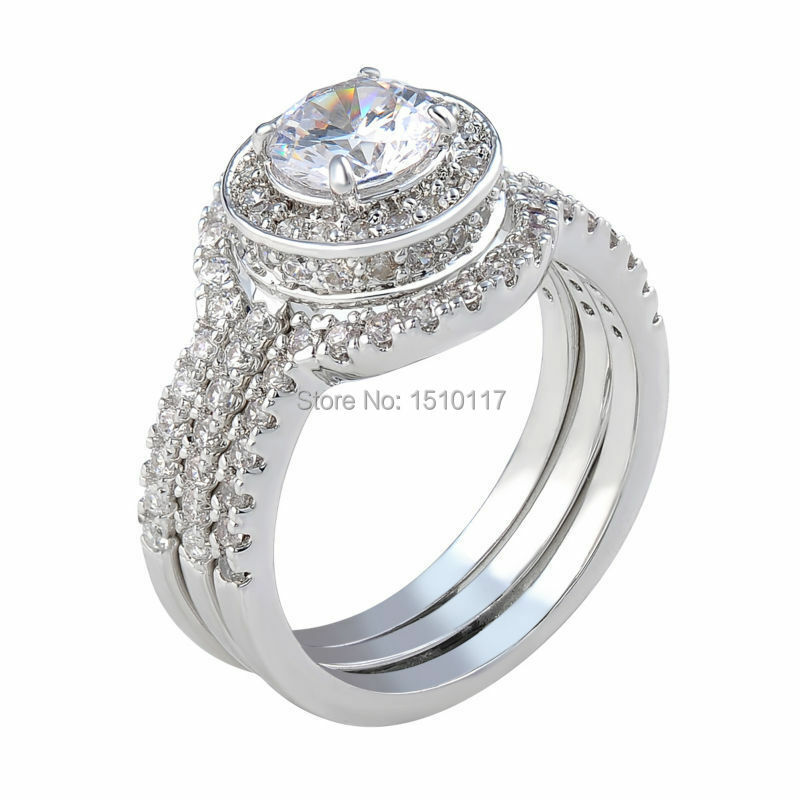 Women's beautiful petite 2 piece AAA grade cubic zirconia wedding set.Crafted from Silver plated. 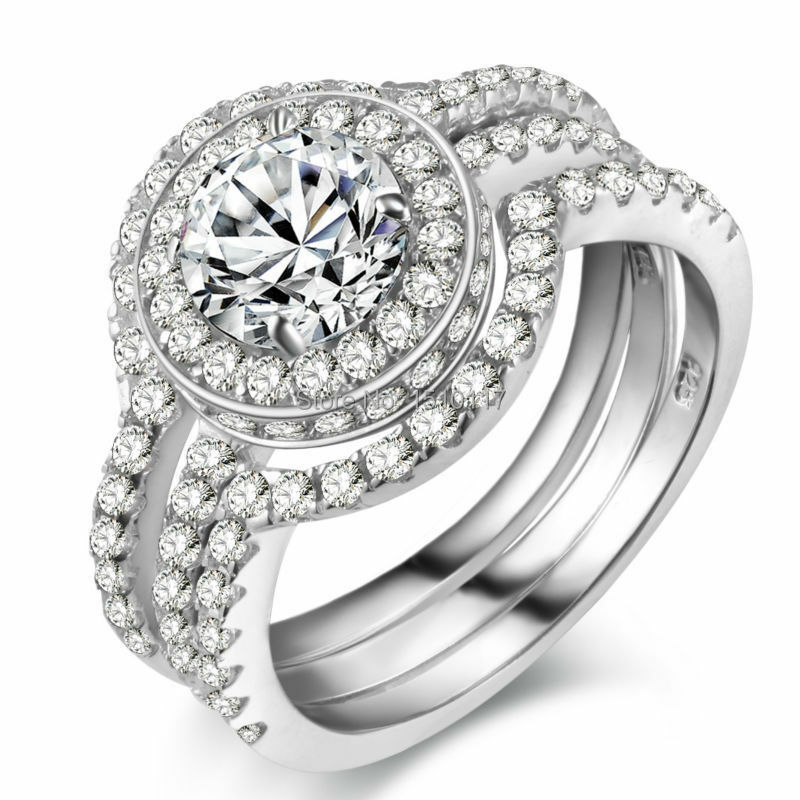 The ring features an engagement ring with a 6.5mm round cut center stone surrounded by 59 smaller round stones. 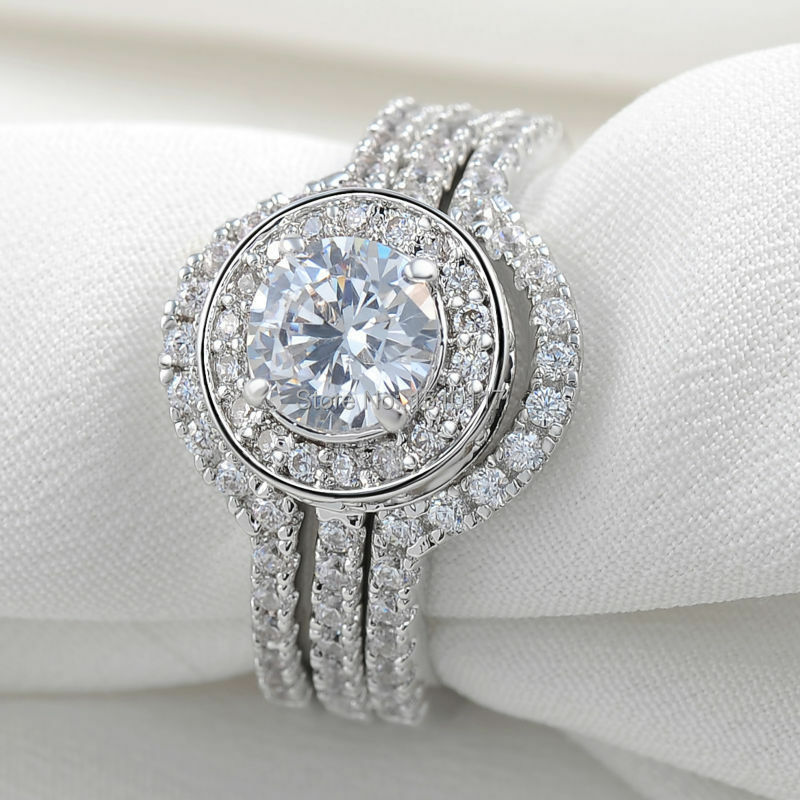 The matching band features 38 matching round stones. 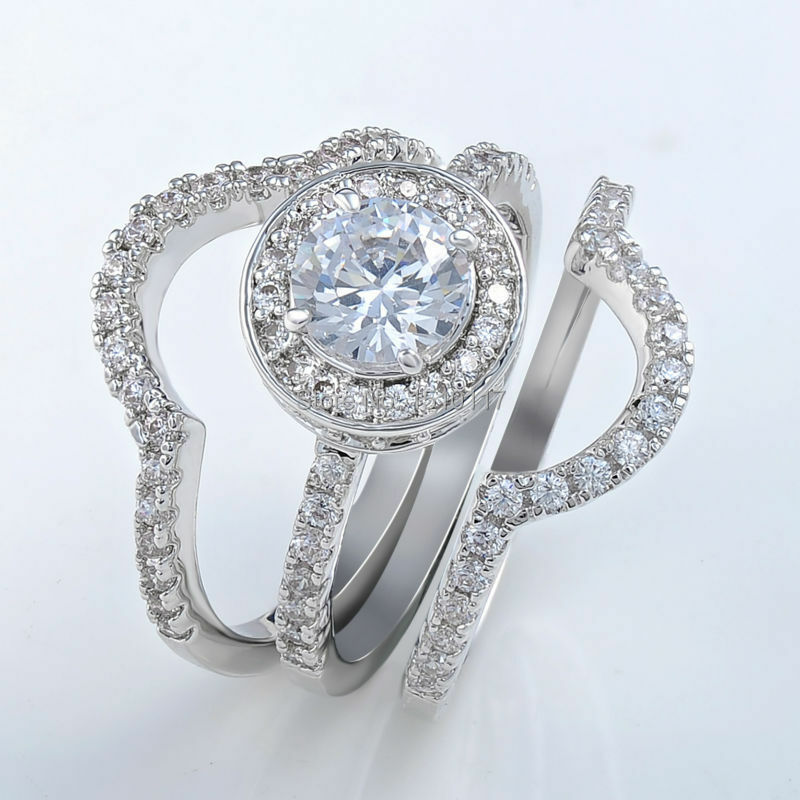 Top quality craftamanship,top quality stones display amazing enriched clarity just like real diamond!